an Culhane is a Denver lawyer who took a problem every litigator faces and turned it into a company that converts and produces emails and attachments in discovery. A Denver native who graduated from East High School in 1985, Dan went to Stanford for undergrad (B.A. Classics) and law school. He practiced for three years in Washington, D.C., before returning to Denver. Dan practiced at Otten, Johnson for three years, then was in-house with US WEST and Qwest for six years before starting his own solo practice, including civil litigation. In 2014, Dan’s firm had a modest arbitration involving 10,000 pages of production, which mostly consisted of emails and attachments. Dan and his coworkers manually produced these documents in discovery by printing the emails and attachments, printing Avery labels with Bates numbers, and producing a privilege log by hand in Excel. 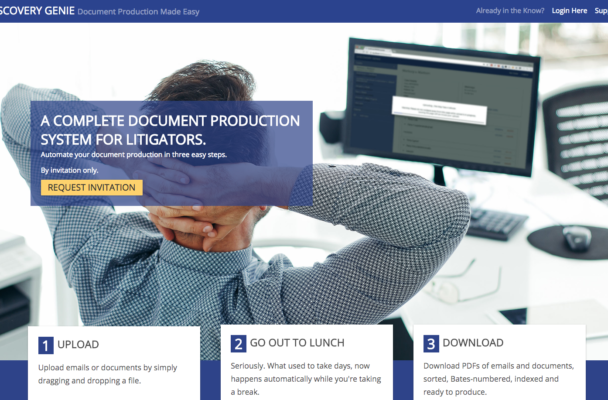 While looking for ways to make this laborious process more efficient, Dan realized there were no tools available to produce emails cheaply and quickly in a litigation setting. Thus was planted the seed that eventually grew into Discovery Genie, an online, automated tool for efficient discovery production. In 2017, Dan Culhane partnered with his son, Theo Culhane, who wrote the core code to convert emails and attachments to PDF, add Bates numbers, and create logs of all emails and attachments from metadata (to, from, cc, date, subject for emails, file name, and last date opened for attachments and electronic files). They filed for a patent on this technology in August, 2017. The next month, the company added software development staff and began converting the desktop prototype into a full-fledged web application. 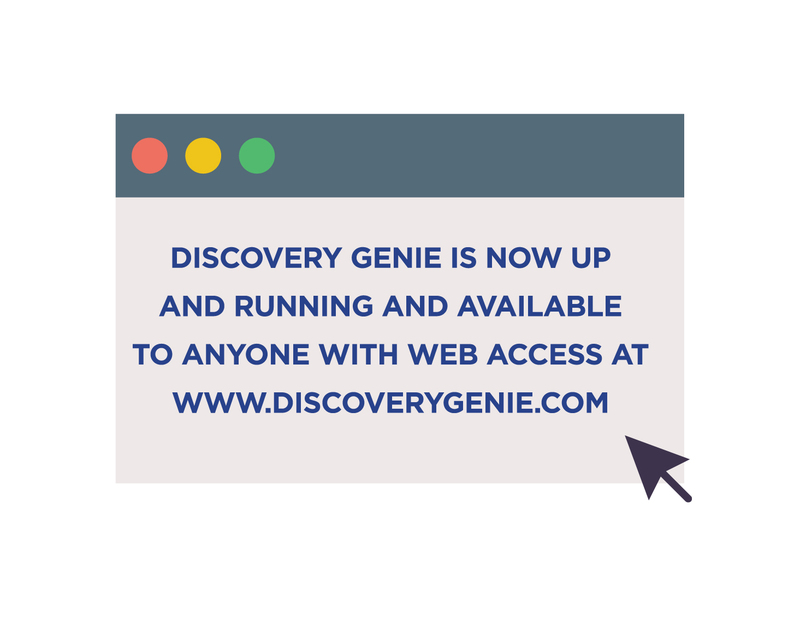 Discovery Genie is now up and running and available to anyone with web access. Here’s how it works: To produce emails, the users just export a mailbox file to be produced into .pst (Microsoft Outlook format) or .mbox (generic file type used by virtually every other email client, including web-based email like Gmail). They then drag and drop their email file to upload it into Discovery Genie, and Discovery Genie organizes the materials for review and production. Users can also upload a folder of electronic files like Word, Excel, PowerPoint, PDF, and other documents. After Discovery Genie receives an upload, it organizes the documents for a privilege/relevance review, if necessary. Discovery Genie runs an algorithm to predict whether an email will be privileged, based on the email addresses in the to, from, cc and bcc fields. For example, if the email is solely between an attorney and a client, Discovery Genie will predict that the email will be very likely privileged. If an adverse party is a sender or recipient, Discovery Genie predicts the email will be very likely produced. Users can then quickly review emails and attachments by pulling up an image of the email or attachment, and checking a box to confirm whether the record is privileged, produced, or irrelevant. The document review module also allows a user to mark any selected record as a “key document,” mark a document for redaction, add a custom stamp to the produced document (such as a “Confidential” stamp if there is a protective order), and add notes regarding any record, which will appear in the log. When the review is complete, Discovery Genie finalizes the job for production with the click of a button, and sends an email when the materials are ready to download. The system makes it fast, cheap, and almost effortless to produce emails and electronic documents. Users simply pay by the job, with no subscription fees or other charges. The program also includes a feature to invite clients to upload emails or documents directly into the system — and then notifies the user when the client’s materials are ready for review. 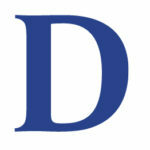 Discovery Genie can be found online at https://www.discoverygenie.com. 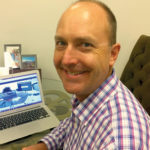 Dan Culhane is the founder of Discovery Genie. He can be reached at Dan@DiscoveryGenie.com, or 303-872-2410.